Yasmin Qureshi MP, Chair of the All Party Parliamentary Group on Srebrenica Commemoration and a Shadow Justice Minister travelled to Srebrenica this week to hear first-hand from genocide survivors and meet with officials in the Bosnia-Herzegovina to discuss commemoration and reconciliation. 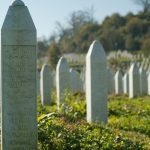 “The lessons from Srebrenica are so important today as we see increasing stereotyping, scapegoating and sensationalised and misleading media. Srebrenica shows us that with the spreading of fear and distrust comes violence. We must stand up to all forms of hatred if we want a society that benefits all. That is the best tribute we can pay to the people of Srebrenica who lost so much in the genocide”. 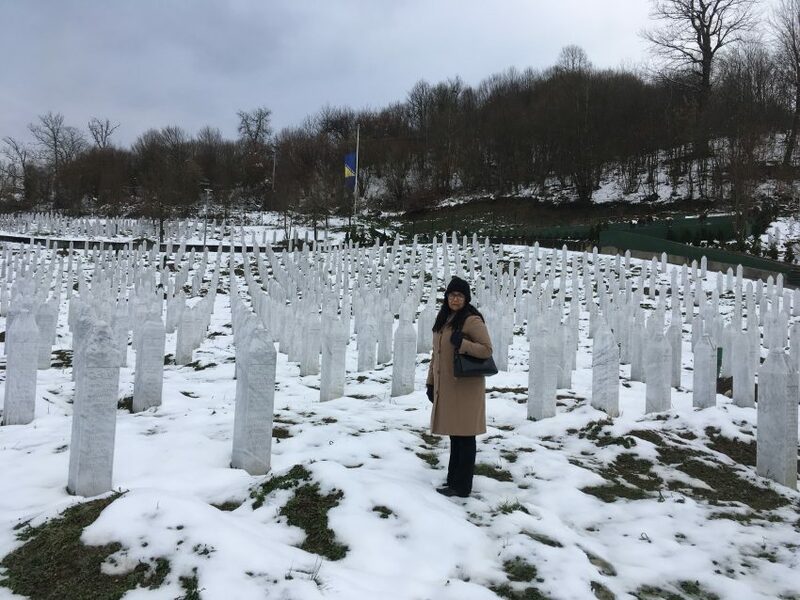 The MP for Bolton South East paid her respects at the Srebrenica Memorial site in Potočari where over 8000 Muslim men and boys were systematically killed because of their faith. Whilst in Potočari, Yasmin Qureshi met with Azir Osmanovic, a survivor of Srebrenica who was just 13 when his older brother was killed in the genocide which tore his family apart. Azir’s story, which he bravely shared, demonstrates the consequences of hatred if left unchecked. These stories have powerful lessons for our own communities today, namely that at the root of this devastation lies prejudice, hatred and fear, spread by those who seek to divide us. Yasmin chairs the group in Parliament which helps to commemorate the Srebrenica genocide, and raise awareness of the atrocity to parliamentarians across the political spectrum. The APPG will be holding events and meetings this year to mark the 23rd anniversary of the genocide.